While all young children grow and change at their own rate, some children experience delays in their development. Special health conditions may affect children's development, too. Accessing early intervention services as early as possible will ensure the best developmental outcomes for these children. The mission of Goodwill/Easter Seals Minnesota is to assist people with barriers to education, employment and independence in achieving their goals. Children’s genetics clinic is one of the largest in the region, providing 2,000 patient visits per year to children and teens from Minnesota, Wisconsin, North and South Dakota, Michigan, and Nebraska. We care for children with genetic conditions, adults whose conditions originated in childhood, and families with a history of pediatric genetic issues. Our program’s size and dedicated administrative staff allow us to see most new patients within six weeks. Welcome to the Down Syndrome Association of Minnesota. You will find good company here. The Association is composed of some 3,000 members; more than 900 people with Down syndrome, their families and friends, plus health-care, education and developmental professionals. We are the only organization in our region devoted exclusively to the needs of people with Down syndrome and their families. 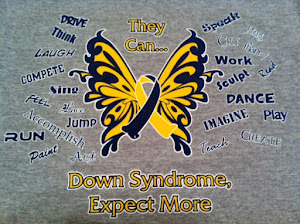 Mission is to promote awareness and acceptance in the community for all individuals with Down syndrome (DS). We hope to have individuals of all ages and backgrounds with Down syndrome supported and accepted in their communities. Our Mission: Promoting and protecting the human rights of people with intellectual and developmental disabilities, and actively supporting their full inclusion and participation in the community throughout their lifetimes.